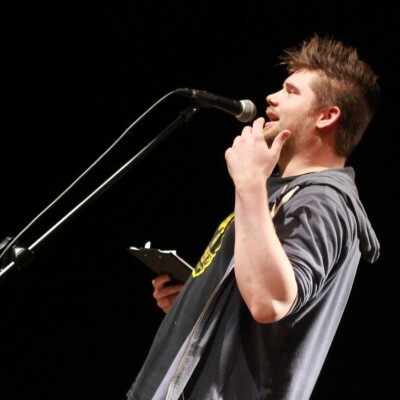 Adam Gaterell is a high energy performance poet of 16+ years experience, performing regularly at the Isle of Wight Festival, Bestival and other festivals and venues around the country. He also works for the Isle of Wight Library service as well as running his own company Adam Gaterell Arts which on top of comedy nights, wedding ceremonies and other skills has led to coaching young people in spoken-word/poetry projects like Flip the Script, UCreate and WordShop 2K16, comicbook workshops at the Ventnor exchange and other areas of the arts. He is quite funny too.